When it comes to fire protection, not all roofing systems are alike. While all systems must meet certain standards, some materials succumb to flame while others are self-extinguishing. Check out this video to see a lab test on some of the most popular roofing materials used today. 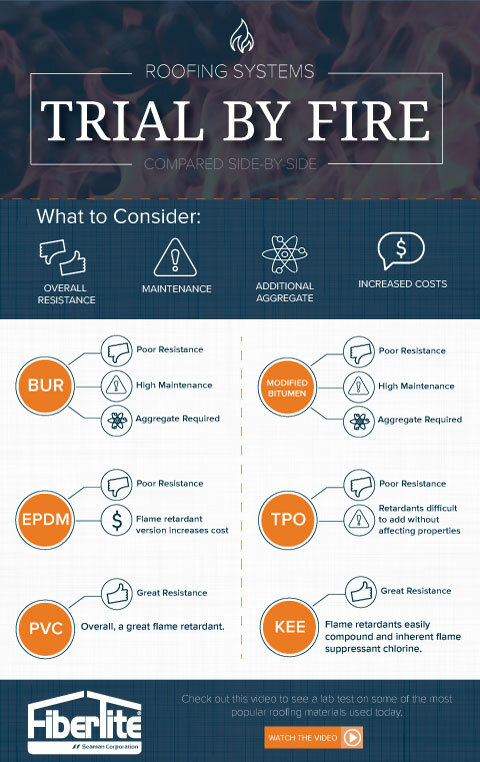 The chart below provides a quick overview of the flame-resistance of various roofing materials. While roofing systems are evaluated and tested as a unit, this look at materials is a good baseline for selecting the best system for your fire prevention needs. To access a downloadable version of this infographic, click here.